WHERE: Park & Shop Lot #2, at the corner of DeForest Avenue and Maple Street in Summit. Artists Heejung Kim and Yvette Molina will join the Art Center at the Summit Farmers Market. While at the market, both artists will create art that involves audience participation while discussing their process and giving insight into their work. During the demonstration, Kim will show visitors how to create drawings, providing instruction on creating the basic structure before letting them loose to personalize their work however they see fit. Molina will expose visitors to her process for creating artwork: by concentrating on her desires for herself and the world. Her community art project asks participants to consider what they want most in their world, focus that intention into a word, write it down, and share it to a combined vision board. The hope is that this project will allow participants to pursue their desire with more clarity and see themselves in a new light, not just as individuals with hopes and dreams, but as a community of dreamers. 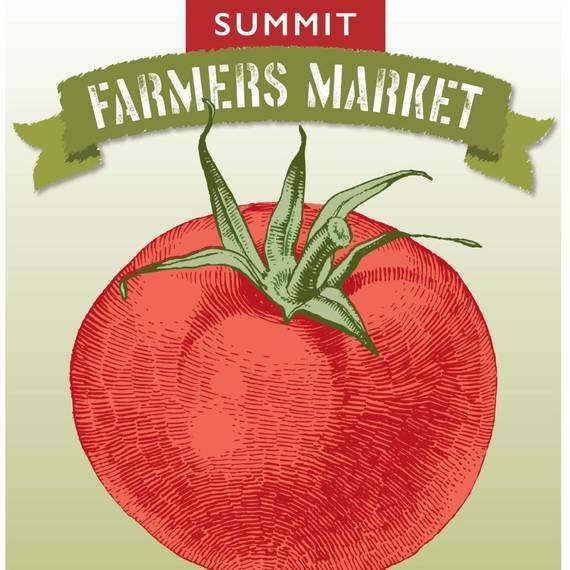 “The artists embedded at the Summit Farmers Market will interact with the community, using input and stories from the public to inform their work,” said Sarah Walko, Director of Education & Community Engagement. Walko and other contemporary artists believe that bringing people in the community together by having a participatory role in the creative process is vital in the context of our times. The themes of Heejung Kim’s artwork stem from Buddhism, dream images, and the artist’s personal experiences. Her work has appeared in numerous national exhibitions, and reviews of her artwork have appeared in ARTnews, The New York Times, and The Star-Ledger. Kim obtained an M.A. in Art Education from the University of Illinois at Urbana-Champaign and her M.F.A. from the State University of New York at Stony Brook. She currently teaches at the Raritan Valley Community College in Branchburg, NJ. Yvette Molina’s art examines the human drive towards discovery, meaning-making, and connection through the dual lens of science and mysticism. Drawing from influences spanning evolutionary biology, sacred symbols, and current events, her work questions how we define, sort, and value life. More recently, themes of displacement, belonging, and justice have informed her work. Molina’s practice includes painting, collage, photography, sculpture, costume-making, and performance. She is currently creating a new pantheon of gods and superheroes to address the challenges of our modern times. Molina has exhibited across the US and internationally in galleries from Los Angeles and New York to Reykjavik, and at venues such as the American Embassy in Montevideo, Uruguay; the Contemporary Museum, Honolulu, Hawai'i; and the Legion of Honor and de Young Museums of California as an AIR awardee. For 85 years, the Visual Arts Center of New Jersey has been exclusively dedicated to viewing, making, and learning about contemporary art. Recognized as a leading non-profit arts organization, the Art Center’s renowned studio school, acclaimed exhibitions, and educational outreach initiatives serve thousands of youth, families, seniors, and people with special needs every year. The Visual Arts Center of New Jersey is located at 68 Elm Street in Summit, New Jersey. Adult and children’s group tours are available throughout the year. Gallery Hours: Monday to Wednesday and Friday, 10 AM–5 PM; Thursday, 10 AM–8 PM; and Saturday & Sunday, 11 AM–4 PM. Please call 908-273-9121 to confirm holiday hours. Visit artcenternj.org for more information. Major support for the Visual Arts Center of New Jersey is provided in part by the Walter V. & Judith L. Shipley Family Foundation, the Wilf Family Foundations, and Art Center members and donors. Free Concert Under the Stars! This Weekend at the UCPAC! Dive Into These Morris County Events! A SUMMER MUSICAL @ THE BICKFORD THIS WEEKEND! SUMMER HAS ARRIVED @ THE RVCC PLANETARIUM! There are still seats available to see HUMOR ME! Submit your art to the next TPRFM gallery show! Bacon Brothers Exclusive Discount Code Inside!